I love, love, love popovers and the ones from Neiman Marcus are hands down the best I've ever had. I go to the restaurant at Neiman Marcus just to have them. With jam they are a dream ... they are so decadent in appearance and a pleasure to pull apart and eat! I recently discovered this wonderful recipe pictured below, Popover With Poached Egg, Roasted Tomatoes & Gorgonzola from lab@56 blog. I loved the idea of using the popover to serve the poached eggs. Great presentation on the plate ... this looks amazing and is on my "must make" list! 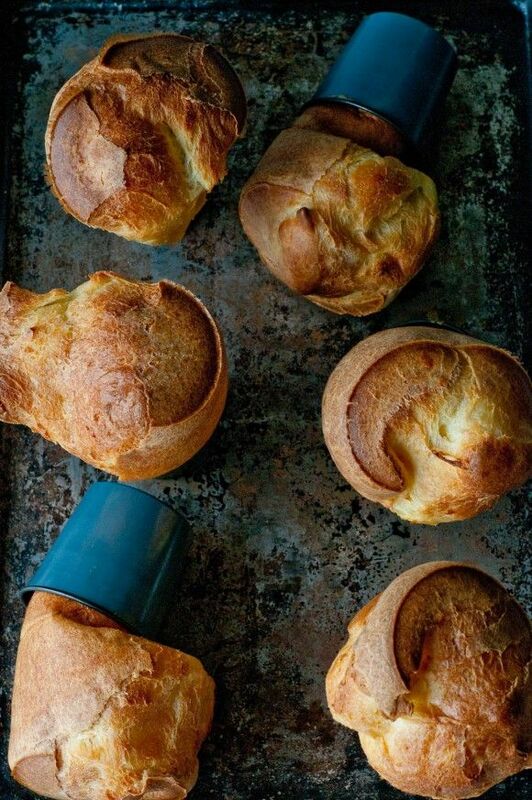 Click here for the Popover recipe from the Neiman Marcus cookbook. 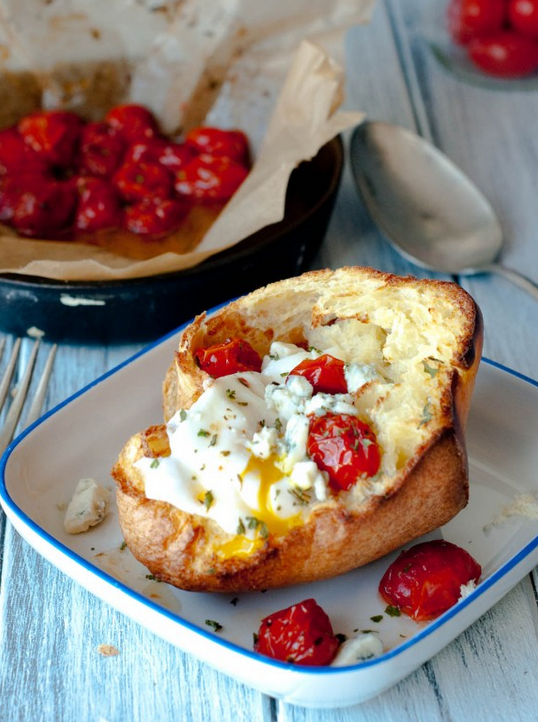 Click here for Popover With Poached Egg, Roasted Tomatoes & Gorgonzola recipe from lab@56.